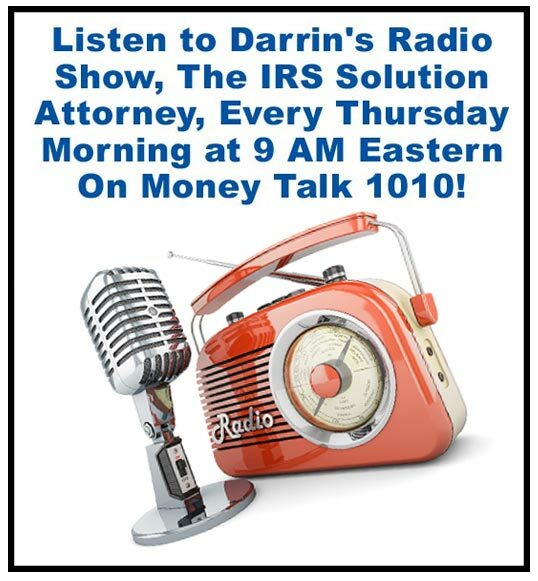 Just about every day someone calls my office and the question on their mind is What do I do if I owe the IRS money and I can’t afford to pay? I wish the answer was simple. 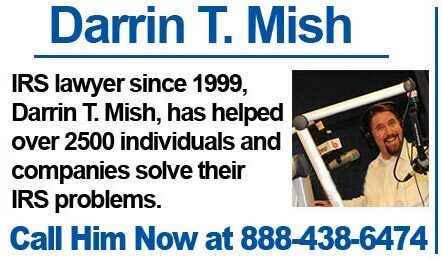 My name is Darrin Mish and I’m a tax attorney representing clients throughout the Tampa Bay Area and around the nation. 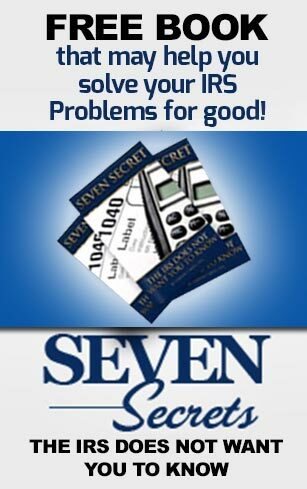 As it turns out there are at least six solutions to IRS problems and without a detailed knowledge of the IRS and its collection system, it’s almost impossible to navigate the minefield alone. But instead of turning this video into a commercial, I thought I’d offer an overview of the options available to you when you owe them more than you can afford to pay. I have other videos on my website at getirshelpnow.com that explains each of these solutions in great detail. 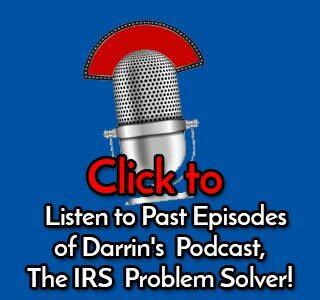 First, it’s important to know that an IRS debt is not a life sentence. There is a statute of limitations on the collection of that debt and it runs ten years from the date of assessment of the tax. So…in a nutshell. If you file a return and it gets assessed AND ten years runs without you paying it. YOU WIN! THEY LOSE! Kind of hard to believe but that’s what the law is. The trick for the average taxpayer is determining when the assessment occurred and when it will expire. Second, if the IRS examines your finances and determines that you have no ability to pay, they will often place your account into a status called Currently Not Collectible or Hardship Status. If you want to sound like you really know what you’re talking about you can call it Status 53 or just 53 for short. This sometimes impresses the IRS employee that you are talking to and they think you actually more than you do. If you can stay in hardship status for the balance of the Collection Statute of Limitations, YOU WIN, THEY LOSE! Third, the IRS does grant taxpayers payment plans. They call them Installment Agreements. There are couple different types of Installment Agreements but if you owe a lot of money, the way your monthly payment is calculated is by forcing you to pay your monthly disposable income amount. This is bad because monthly disposable income is the difference between income and monthly ALLOWABLE expenses. They key word in that sentence is ALLOWABLE. The IRS has tables for every county in the country and if, for example, the maximum allowable housing allowing is $1400 and you spend $2400 then there is $1000 a month right off the bat that the IRS will force you to pay but that you don’t really have to pay them on a monthly basis. Installment Agreements can be tricky and it’s a solution we try to avoid if we can. Fourth, is Innocent Spouse Relief. Innocent Spouse Relief comes into play when you have (typically a former spouse) who really generated the tax debt and you’re just an innocent victim in the whole situation. That’s a bit over simplified but that’s really the gist. Fifth, is the Offer in Compromise. This is really the popular program you hear about so much on TV and the radio. It’s a way to make a deal with the IRS for less than you owe. In the interest of time, I’m only going to speak about the most popular Offer in Compromise here. In the Offer in Compromise based on Doubt as to Collectibility, you are arguing to the IRS that you can’t afford to pay nor is it very likely that you will ever be able to pay the debt in full. The amount of your Offer is calculated by taking monthly disposable income times 12 plus the value of your assets. The sum of this equation is the amount of your Offer. So let me give you an example. If your monthly disposable income was $200 per month times twelve and you have no assets, your Offer would be $2400 payable within 5 months of the acceptance of the Offer. Some people think this program is too good to be true. But I can tell you from experience that since early 2012 these things have been accepted at a much higher rate than they had in the past. Of course, every case is different and this is by no means commentary on your particular situation. Lastly we have bankruptcy. Yes taxes CAN be discharged in bankruptcy. If you go and ask 10 bankruptcy lawyers if taxes can be discharged in bankruptcy, 9 of them will tell you NO they can’t. But they can under certain circumstances. Income taxes can be discharged in bankruptcy. Payroll can’t be discharged….ever. They are a certain special kind of tax called a Priority Tax and priority taxes can’t be discharged period. But income taxes are a different story.As long as three timing rules are met, they can often be discharged. The timing rules are 1. they must have been due more than 3 years ago including extensions. 2. They must have been filed for at least 2 years if filed late. and 3. They must have been assessed more than 240 days ago. If you have other debt and want a fresh start, bankruptcy and discharging your tax debt along the way might be a possibility worth exploring. In closing, if you need immediate help for an IRS problem, give us a call at (888) 438-6474 for a free, confidential consultation. The only thing that can happen is you will know more about your options than you do now. If you don’t feel comfortable calling right now, I understand. In that case, I invite you to visit our website at GetIRSHelpNow.com Thanks for watching.